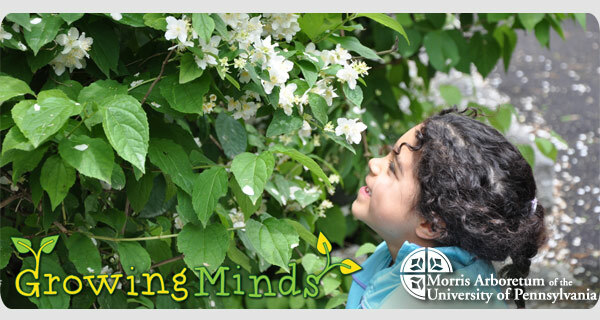 Growing Minds is a program series for kids and families that inspire a sense of wonder about the natural world within the beautiful setting of the Morris Arboretum. The classes offer children and their caregivers the opportunity to connect meaningfully with nature, through a wide variety of creative and educational programs. Take a look and sign up for these programs that are certain to be enriching, fun, and memorable! Join us for fun and engaging reading sessions with local librarians. Each session is tailored to the changing seasons and complements the natural setting of the Arboretum. Storytime is held outdoors in nice weather, at the Outdoor Children’s Classroom, next to the Widener Visitor Center. In the case of inclement weather, Storytime is held at the Visitor Center. Storytime is free for members. For non-members, Storytime is free with Arboretum admission. Advance registration is required for each session.